Some time we forget to silence phone at certain places like cinema, college, meeting or any other places, but now you can automatic silent your phone at particular time and places. 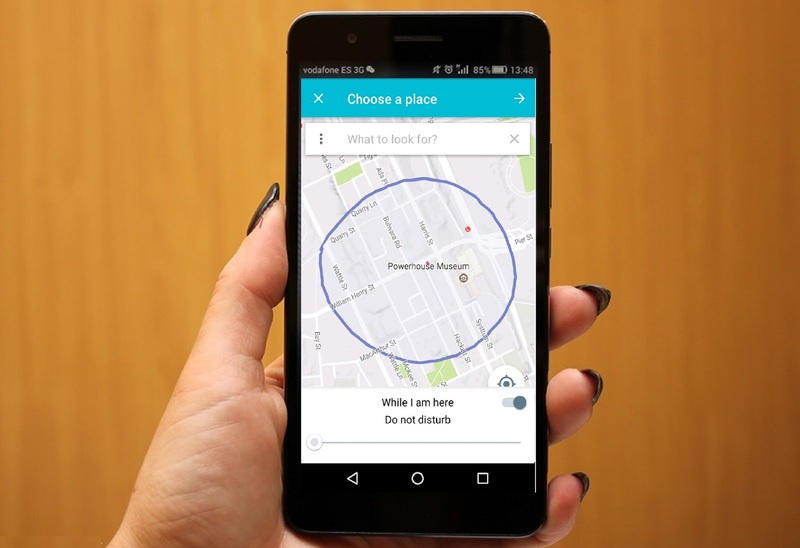 Wandle is a application that allows you to select the location and time to auto silent your phone, this app does not require continuous Internet connection, is completely free and simple in management, and its configuration will not take even a minute. · In advance or instantly fix time in which you will not be disturbed. · Choose places on the map (house, cinema) where Do Not Disturb mode shall be automatically activated. · Make lists of contacts will be always accessible. · Urgent Call function. The third call of the same subscriber within five minutes will not be muted. · Wandle will automatically ask how long not to disturb you. here available this app code? ?